By admin | October 24, 2012. 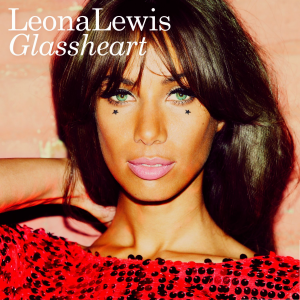 Leona Lewis’s third album, Glassheart, pushes her musical boundaries. It peppers songs with elements of trip-hop, dub-step and house, along with the typical “belters” that one would expect an artist with such a powerful voice to produce. Glassheart begins with one of its strongest songs – and lead single – “Trouble”. The song is carried in the verse by a harrowing vocal track that picks up in the chorus, along with the tempo and will likely give Leona a number one song – something that she has not had since her 2008 cover of Snow Patrol’s “Run”. “I To You”, “Stop The Clocks” and “When It Hurts” are again the type of song that would be considered safe for Leona Lewis to perform. However the penultimate track “Fingerprint” is the strongest of the ballads on her new album. The final track on the album is “Trouble” featuring Childish Gambino, which offers next to nothing in terms of musical quality to the album. The American rapper inputs a 40 second rap which adds minimum value to the song, and disrupts the natural rhythm found in the original. Luckily thanks to technological advances it is possible to delete the overkill that concludes an otherwise enjoyable third album from Leona Lewis.